Great style. Great design. 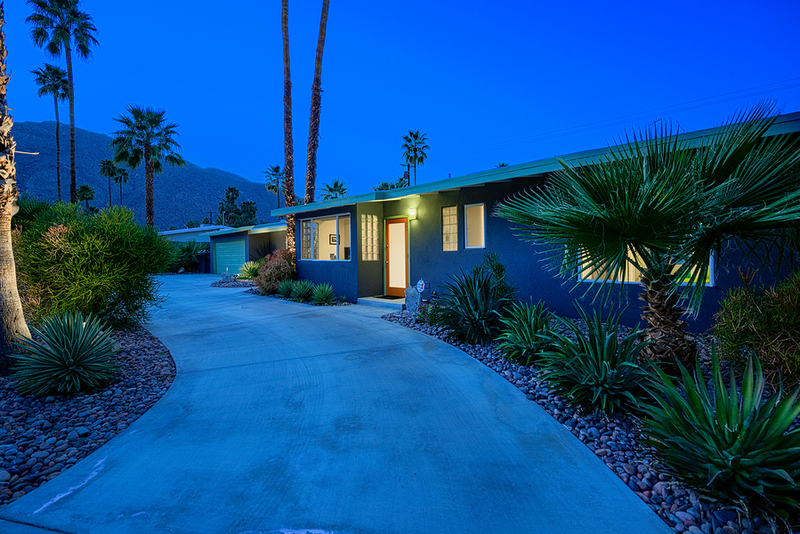 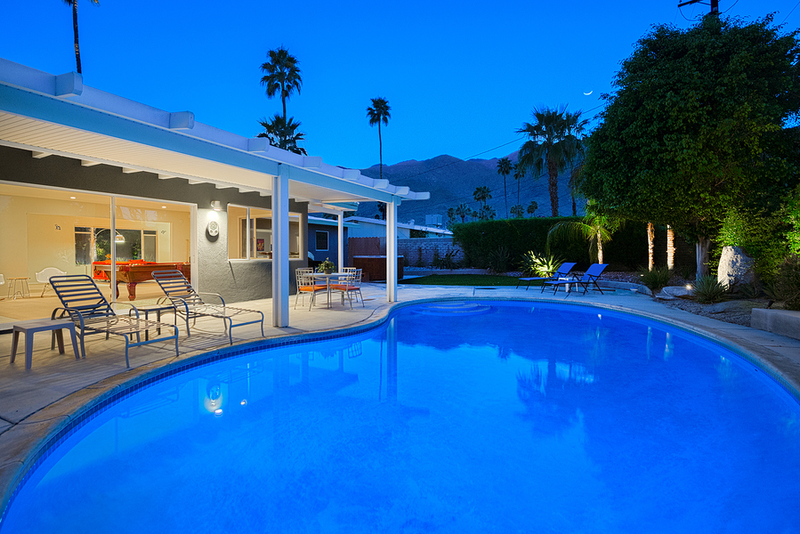 Built in 1951, this traditional mid-Century private resort-style vacation home is perfect for your Palm Springs Getaway. 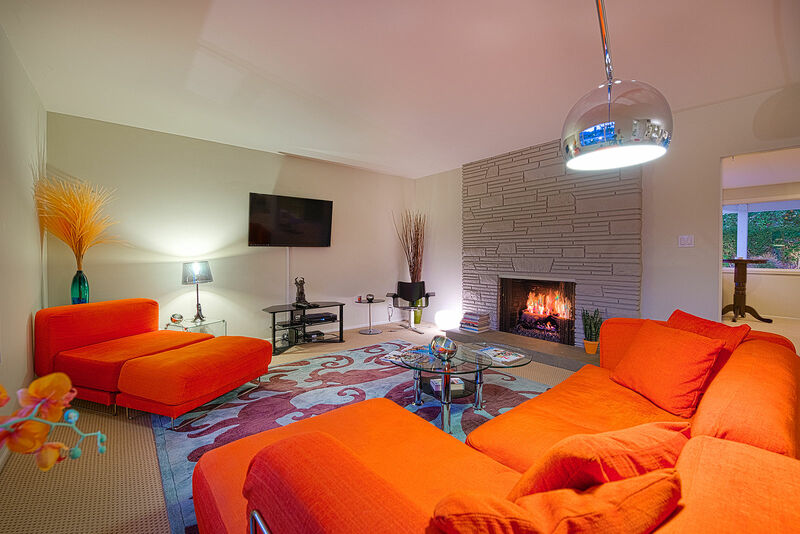 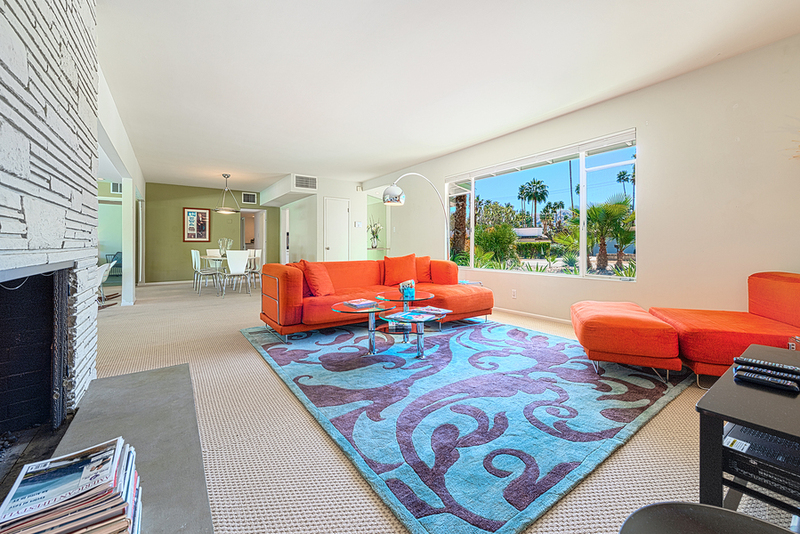 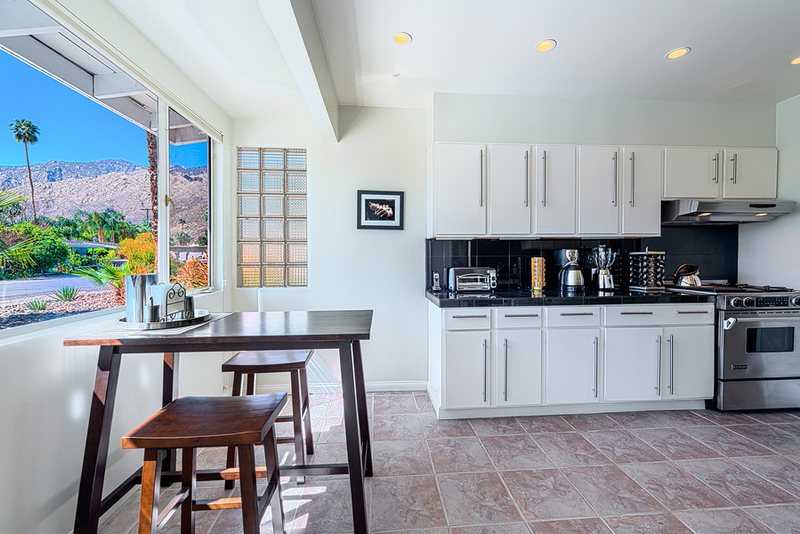 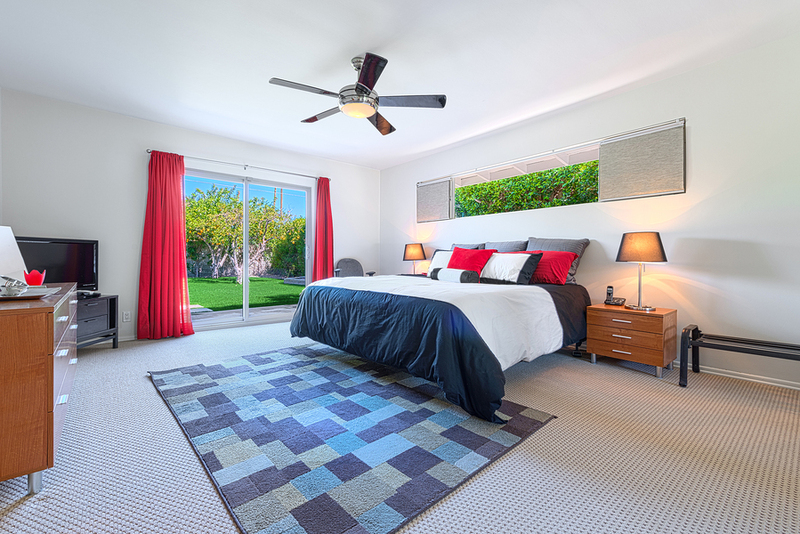 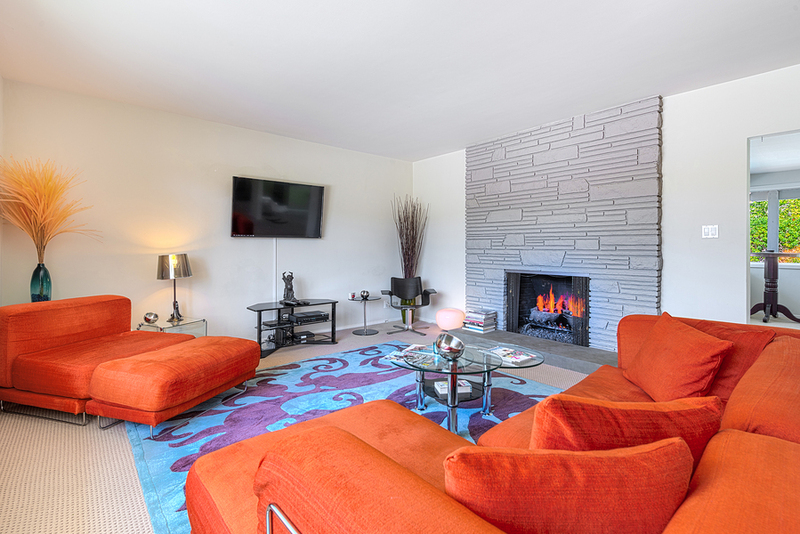 Colorful and tastefully furnished, and situated just south of the heart of downtown in the very peaceful, quiet, and desirable neighborhood of Tahquitz River Estates, Palm Springs Modern Villa is conveniently located near shopping, restaurants, golf, and nightlife. 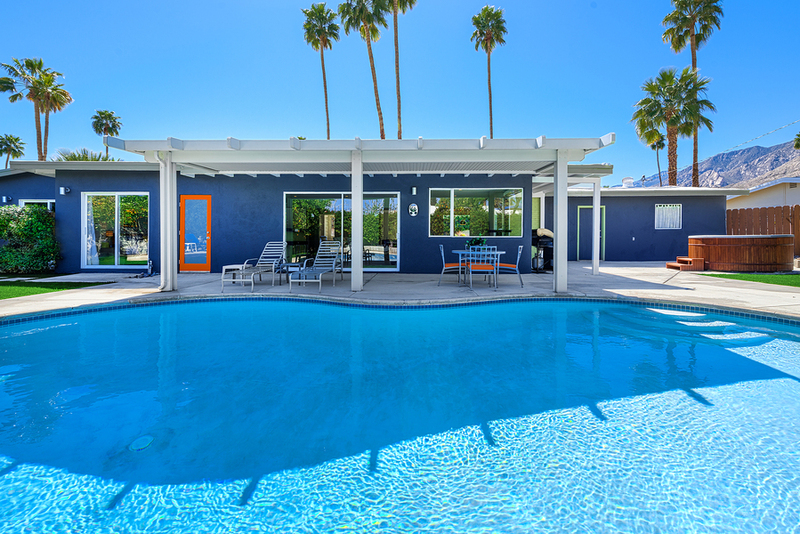 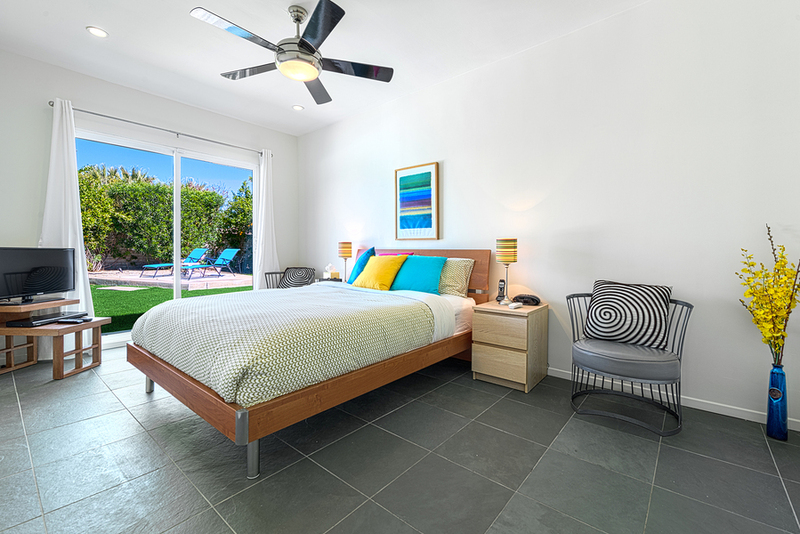 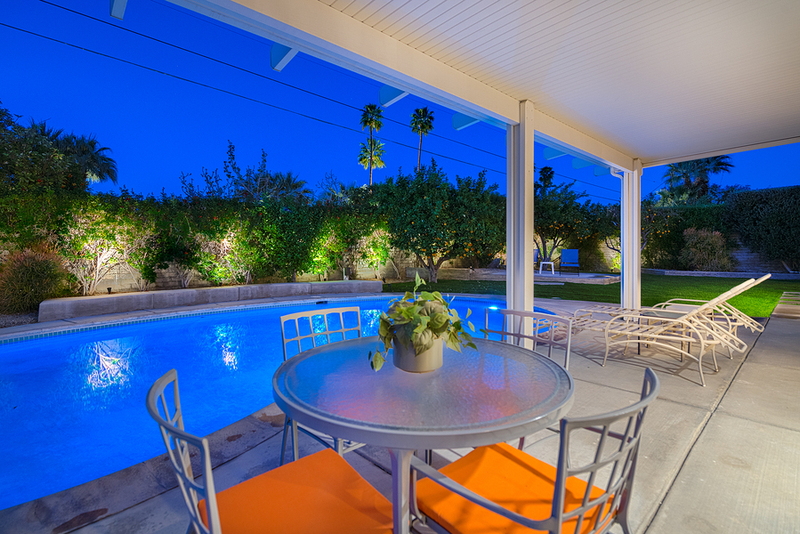 This 3 bedroom, 2 bathroom house sleeps 6 comfortably and has a private pool and classic above-ground spa, as well as a floor plan that makes for a bright-and-sunny mix of world-famous Palm Springs indoor-outdoor living. 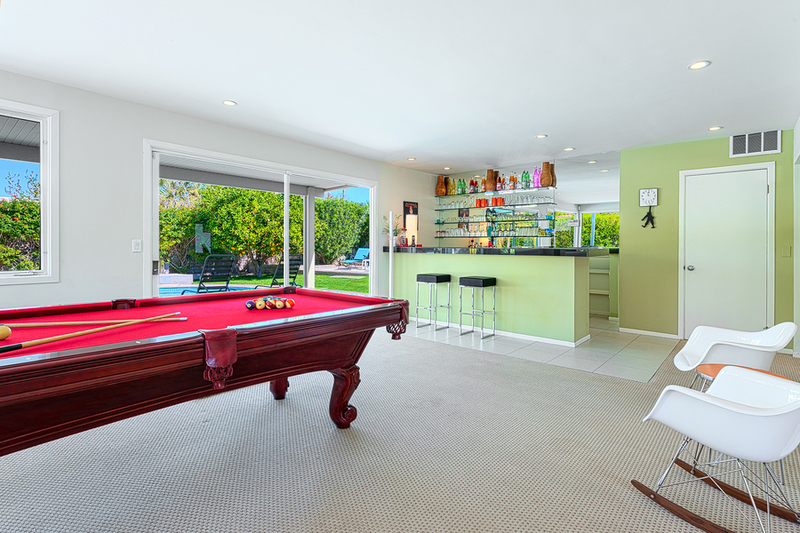 Enter the front door into the spacious great room featuring a dining area, a beautiful pool table, wet bar, and a den area with comfortable couches from which to watch the 70" Sharp smart television screen (including cable TV, DVR, Blu-Ray, HBO, Showtime, Cinemax, and Netflix). 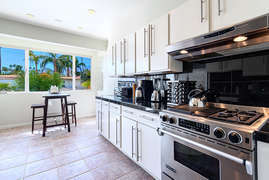 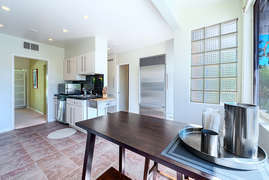 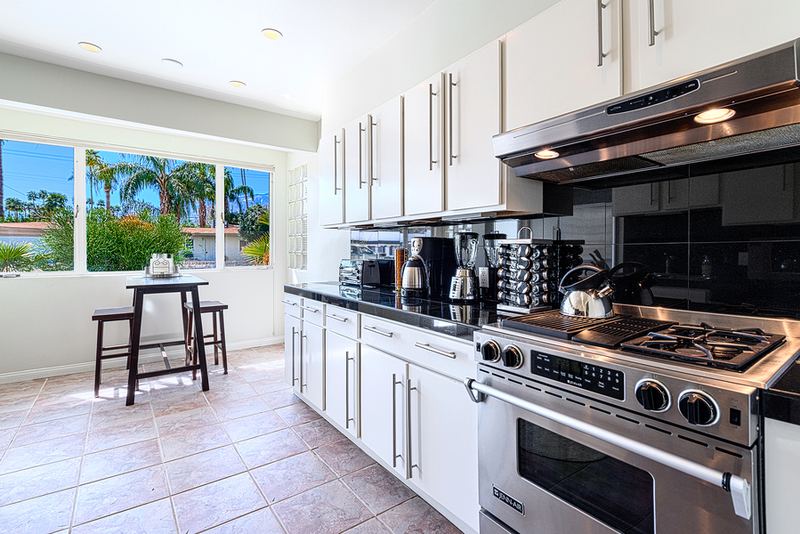 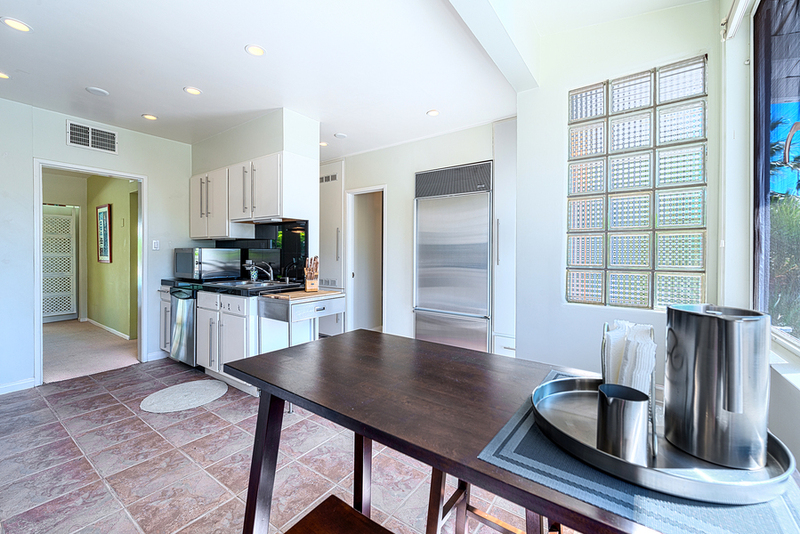 The completely-stocked kitchen features a SubZero refrigerator and breakfast nook, and the nearby laundry unit features a stacked Bosch washer and dryer. 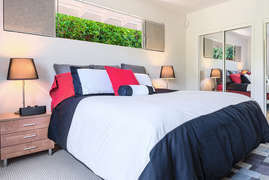 All three bedrooms have NovaForm-topped mattresses for extra comfort (King-Size Bed in the Master Bedroom; Queen-Size Beds in the two guest rooms) as well as televisions and Blu-Ray players. The living-dining Great Room area overlooks and opens onto the pool deck and the spacious, private backyard for casual desert dining, relaxing and entertaining. 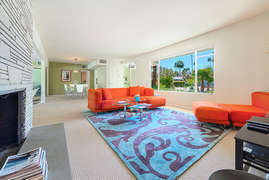 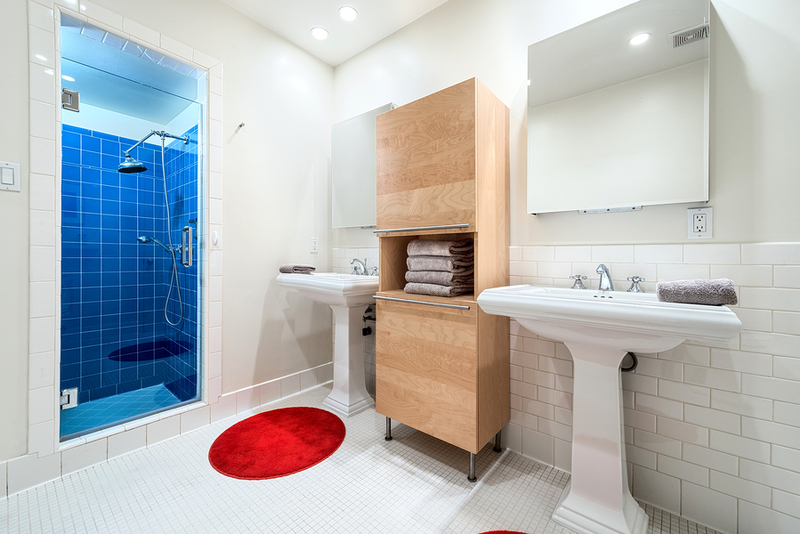 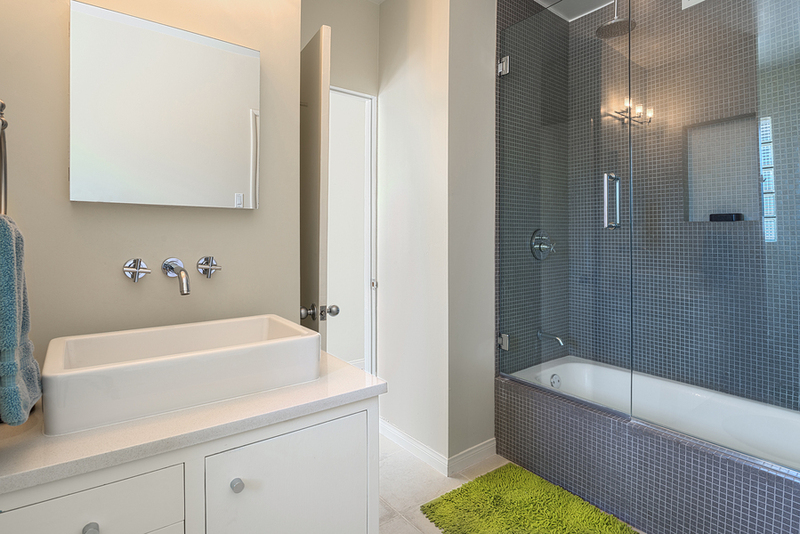 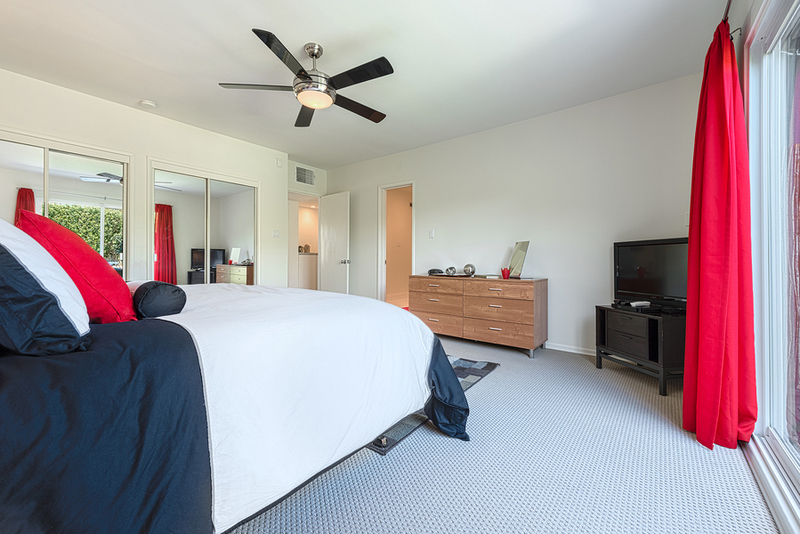 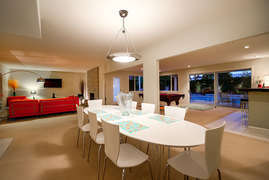 Linens, towels, and pool towels are provided, and WiFi access is available throughout the house. 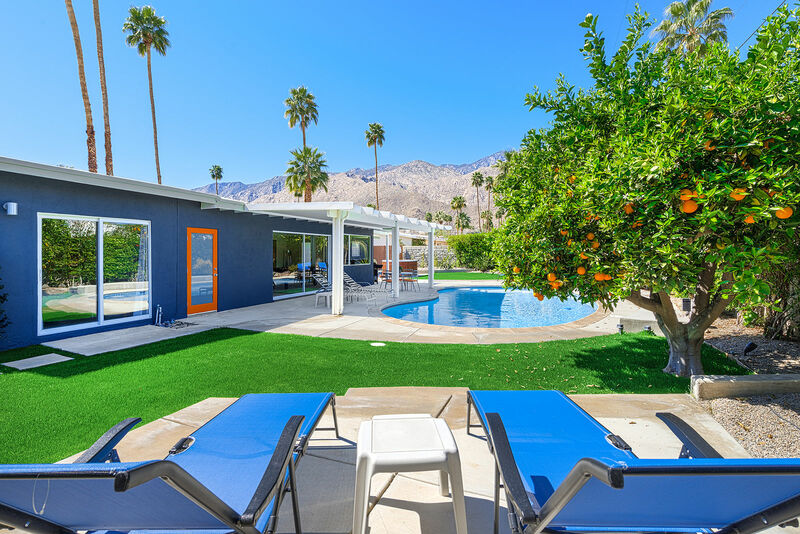 Palm Springs Modern Villa offers spacious comfort in a classic, mid-Century-style home for you to enjoy: Sunbathe on the backyard raised-platform chaise lounges with a beautiful view of the mountains. Kick back on the famous PSMV orange couches while watching your favorite shows on the huge-screen TV. 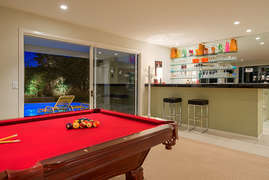 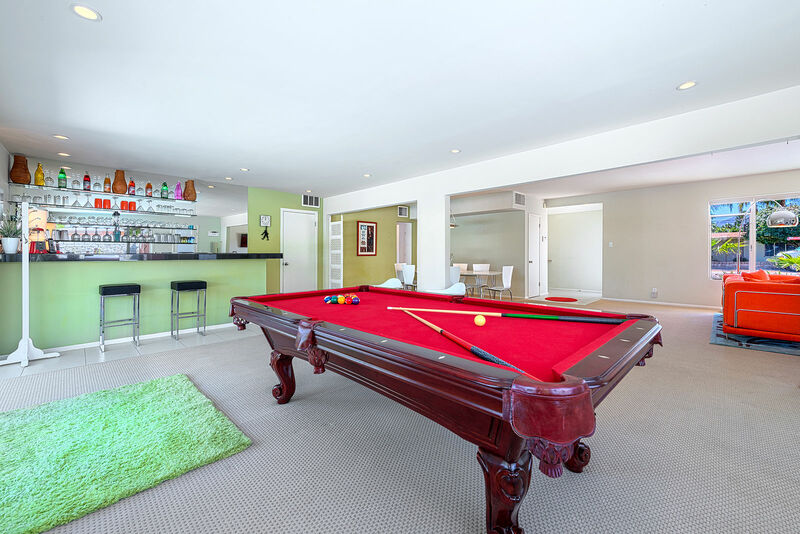 Play a round of pool. 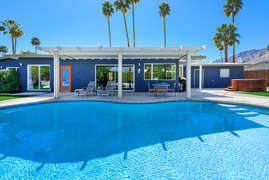 Or take a dip in the pool. All you need to bring is your own suntan lotion! Palm Springs area activities include world-class golf courses, swimming, hiking, botanical gardens, desert landscape parks, a water theme park, renowned aerial tram, tennis, gyms, horseback riding, and shopping. (In addition to all of the trendy downtown shops and boutiques, there is also an enormous, high-end outlet mall in nearby Cabazon). Also enjoy nearby Joshua Tree National Monument (an extraordinary national park set in the desert), Death Valley, and the Salton Sea. 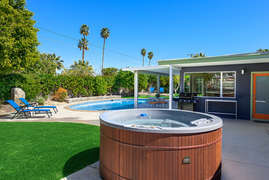 Theme parks within a two-hour drive include Disneyland (Anaheim) and Sea World (San Diego), as well as Palm Springs' own Knott's Waterpark.